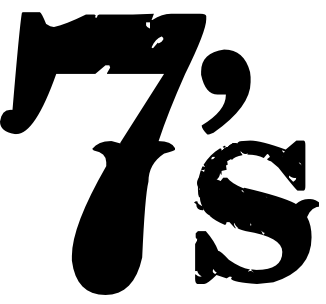 Lucky Sevens is a new series of list posts here at slightly insightful. Everyone knows that “list” posts are always terrific blog fodder, but Top 10 lists are so cliché. After experimenting with various lengths, I’ve determined that seven is the perfect size for list posts. How did I come up to this conclusion? 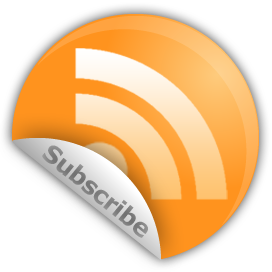 Here are seven reasons why seven is an all around amazing number and the best number for list posts. Seven the best number ever: Not only is it a prime number, but the ancient Greeks called it the perfect number, as it made up of the perfect figures 3 and 4 (triangle and square). More on what makes seven such an awesome number here. 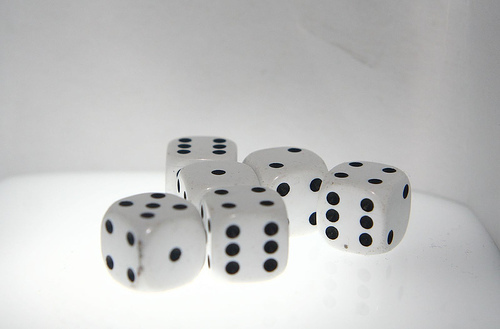 Seven is the luckiest number: When rolling a standard pair of dice, seven has a one in six chance of being rolled, the highest probability of any number. Seven is essential to the Ultimate Question: The fictional super-computer, Deep Thought, was built for one reason&—to calculate the Ultimate Answer to “life, the universe, and everything.”.Its answer was the number 42. What number goes into 42 exactly 6 times? Seven! Seven books in the Harry Potter series: If JK Rowling had not written Harry Potter and the Deathly Hallows, her seventh in the series, then we’d never have gotten closure on that whole Harry versus old “He who must not be named” thing. 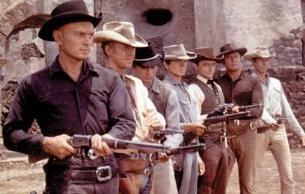 The Magnificent Seven: Yul Brynner, Steve McQueen, Charles Bronson, and James Coburn headline a cast of mean hombres in this 1960 cowboy-western. Shootouts, knife-fights, and stands against impossible odds, this movie’s got it all. There you go, proof positive why seven rocks so much. I look forward to sharing more lists of sevens in the weeks to come. This entry was posted in Lucky 7s and tagged lists, lucky7s, numbers, top on November 7, 2009 by Ammon. @Jabe, I considered a few of those, but in the end I went with the list above. Some others that didn’t make the cut: number of stellar objects in the solar system visible to the naked eye from Earth, seven hills of Rome, seven years of plenty (and famine) from the pharaoh’s dream, number of branches on the menorah, Seven Brides for Seven Brothers, the Seven Year Itch, Snow White and the Seven Dwarves, 007, Seven Habits of Highly Effective People, John Elway’s jersey number, 7-Up, 7-11, and many, many more. At some point I had to get choosy.